3 Calaveras (death figures - character voices), SATB chorus ad lib. The Best Opera/Musical Theater of 1991 ...a fascinating, magically engrossing evening ...The music is subtle and atmospheric ...genuinely original and genuinely accessible, a neat combination not that often achieved. ...an exciting, long overdue musical biography ...raw, wonderfully dangerous theater. ‘FRIDA’: A fierce portrait of Kahlo...intense and impassioned ...a bio drama/performance piece/puppet show/monologue carried off as an operatic danse macabre ...relentless ...searing ...harrowing ... richly imaginative ...Frida’s remarkable. Mexican painter Frida Kahlo created some of the most disturbing, soul-baring images of our century ...brilliantly translated to the stage ...Music theater’s power to plumb a complex character, tell a great story and evoke a time and place has triumphed in Houston Grand Opera’s production of Frida ...The story is told swiftly and efficiently, often with deft humor, always with a clear focus on the inner life of the title character ...Frida is at once fragile and strong, high-minded and sensual, deeply serious and devastatingly funny. Nearly alone among operatic heroines, Frida is granted a complete personality, including a fully nuanced and frank sexuality. 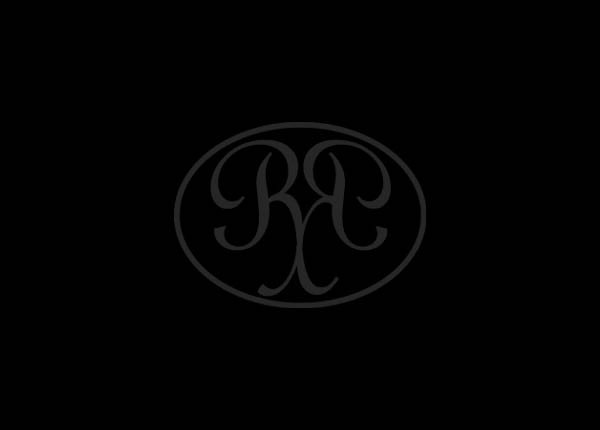 Rodríguez’s music helps mightily to create a character that we care about and whose pain we must share. Just as Rodríguez’s earlier operas appropriated European Renaissance and medieval styles or quotations into his own modernist and coloristic tapestry, his score for Frida draws heavily on the folk and popular-romantic idioms of Mexico ...magnificently effective ...gorgeous ...sumptuous ...beautifully constructed ...powerful ...wistful, sensuously serpentine ...and he finds plenty of outlets for his pungent wit ...great musical theater. Frida offers the opportunity to hear a well-regarded contemporary work known for its eclectic style. It marries the emotional weight and complexity associated with classical music with the immediacy and clarity of vernacular art. Rodriguez's score, which includes spoken dialogue, explores an aesthetic halfway between the opera house and the Broadway stage…morphs quickly from astringent classical modernism to syncopated ragtime and jazz and the sunburned colors and south-of-the-border rhythms of mariachi music …offered the kind of dramatic intensity and immediacy that's too often missing in performances of standard repertory works…compelling… strong memories linger. Frida is an emotional explosion of music and color and truth that surely the artist herself would have enjoyed… We are hard-pressed to catalog the many ways Frida satisfies and surprises. At the most basic level, Kahlo’s personal story is fascinating, and there is a certain voyeuristic appeal to seeing her life played out through the dynamic amplification of modern opera. Perhaps the highest praise we can offer is that Frida faithfully represents the passion, pain, energy, defiance, vibrancy, and restless intensity that Frida Kahlo poured into her paintings. These defining emotions are reflected in the soaring music, hypnotic and eerie dancing, authentically surreal production design, and sparkling singing and acting from the ensemble…Do what you must to see this inspiring opera. …Rodriguez’s score teeters between opera and musical theater, and that’s perfectly fine. So does Stephen Sondheim’s Sweeney Todd and Kurt Weill’s Rise and Fall of the City of Mahagonny and Street Scene, and they’re all great works. Rodriguez also includes some lively Mexican folk tunes and snatches of tangos and sambas. 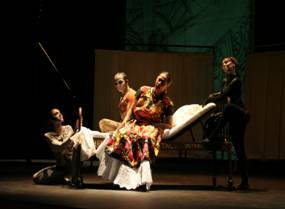 Long Beach Opera presents SoCal Premiere of Opera Frida. 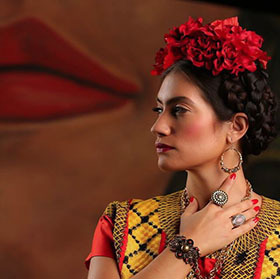 The opera celebrates the renowned Mexican artist Frida Kahlo, her vivacious spirit, sexuality, fragility, and her tumultuous life with muralist Diego Rivera. Robert Xavier Rodríguez' brilliant score captures Frida with music as rich and haunting as her art. Death Haunts Frida Kahlo…Rodríguez’s engaging score [has] a snappy capacity to channel all manner of American music theater traditions…For its year-end classical music honors of 1991, the New York Times hailed Frida as the “Best Opera/Music Theater.” By now, Frida has been staged internationally in 15 cities. Cincinnati Opera mounts another new production this week...It’s all there, neatly and concisely packaged, a whirlwind tour of Kahlo’s life. The musical bits fall in place easily...Catchy licks and hooks… like musical flickers… mysterious, miraculous, macabre, brilliantly colored splendor. The life of Frida Kahlo, an opera waiting to happen. Rodríguez’ captivating score portrayed Frida with music that richly conveys her inner pain and prolific struggle to conquer death…This property has legs in a Fridamania-obsessed world. Long Beach Opera Presents Robert Xavier Rodriguez’s 'Frida.' An opera as colorful as artist Frida Kahlo’s life and work, Frida explores the passion and pain and beauty of an important artist. 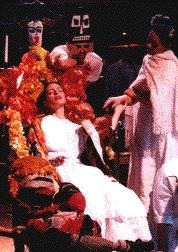 It was genius that Rodriguez chose Kahlo as a subject for his 1991 opera. Her life story sounds almost fictional, or at least as surreal as some of her art. Through Frida, we learn much about her as a woman, a lover, an artist and a Mexican…I found the opera to bridge musical theater and opera, and to do so in a convincing way...I found myself humming the final song in my car on the way home. Cincinnati Opera’s Frida tinged with emotion, fiery spirit. Robert Xavier Rodriguez’s 1991 opera Frida is an unflinching view of the artist’s lifelong torments as well as her passions… Rodriguez’s musical score is as complex and richly layered as Frida’s personality. 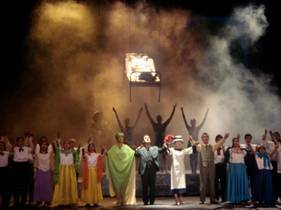 It is colored with folkloric Mexican music, jazz, sophisticated modernism, sensuous atmosphere and subtle musical quotations. It’s an inventive hybrid. With its Broadway-style songs, amplified singers, dialogue and monologues, this opera might be just as happy on the musical theater stage… It leaves an indelible imprint that lingers long afterward. Frida at the Cincinnati Opera. Like the lady herself, the opera is bold, colorful, and full of life and passion. Robert Xavier Rodríguez’s Frida, performed at Cincinnati Opera, presents an apt parallel to Kahlo’s own art, with its difference of styles unfailingly put to dramatic use… a Mexican Kurt Weill…with its mixture of popular material (both authentic folk songs and newly-composed material), Rodríguez’s own modernist style and the opera’s sense of high purpose… incorporates folk elements and materials into something entirely new and original. The American composer, Robert X. Rodríguez has made a musical of Frida Kahlo’s life and suffering, in fact a sensationally good one... extraordinarily evocative and wide-ranging worlds in sound... Boisterous Fiesta-Mexicana-strumming alternates with a brandy-soaked ballroom atmosphere; drama alternates with intimacy, poetry with bombast. It is all here and wonderful... Enormously charismatic, varied, full of nuance... one of the best things to have been seen on any Viennese stage in recent years... beautiful, poetic... Five stars deluxe. Robert Rodríguez wrote an opera about the painter Frida Kahlo with impressive music and drew from Copland and Bernstein, from musicals, from Kurt Weill, from international [style] as well as Mexican folklore... It shows yet again that if someone is seriously interested in chamber operas, a repertory exists today that reaches far beyond baroque and rococo opera...Exotic flair... humor... Thank you, Señor compositor, for the beautiful music. The music clearly represents an unconventional life that couldn’t have been lived more emotionally, passionately and eccentrically. Photos from Festival de Mayo (Guadalajara). Left: Frida and Calaveras; Right: Full Company (Finale). 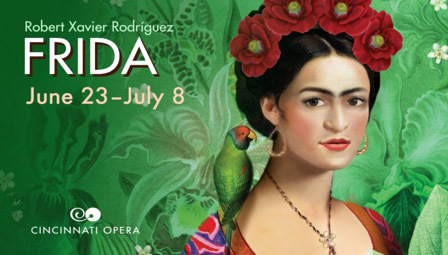 The ovation for the Spanish premiere of the opera Frida lasted for eight minutes…The sold-out audience rose and showered the stage with red and white carnations… Many audience members participated in the spectacle by coming to the theater dressed as Frida (Kahlo) and Diego (Rivera). Rodríguez describes Frida as being “in the Gershwin, Sondheim, Kurt Weill tradition of dissolving the barriers and extending the common ground between opera and musical theater. In keeping with the Mexican setting of Frida, he has created a unique musical idiom. The score calls for mariachi-style orchestration (with prominent parts for accordion, guitar, violin and trumpet), in which authentic Mexican folk songs and dances are interwoven with the composer’s own “imaginary folk music,” tangos and colorations of zarzuela, ragtime, vaudeville and 1930’s jazz – all fused with Rodríguez’ characteristic “richly lyrical atonality” (Musical America) in a style “Romantically dramatic” (The Washington Post) and full of “the composer’s all-encompassing sense of humor” (The Los Angeles Times). Among the “stolen” musical fragments developed in Frida (like Stravinsky, Rodríguez says “I never borrow; I steal.”) are such strange musical bedfellows as two traditional Mexican piñata songs (“Horo y fuego” and “Al quebrar la piñata”), two narrative ballads (“La Maguinita” and “Jesusita”), the Communist anthem (“L’Internationale”), Tchaikovsky’s Fourth Symphony, and Wagner’s Tristan and Isolde. And “Spanish speakers might also listen for the rhythm of a familiar Mexican curse growling in the trombone as Lupe (Diego’s former wife) insults Frida and Diego at their wedding. The orchestra continues its ironic commentary throughout the work. 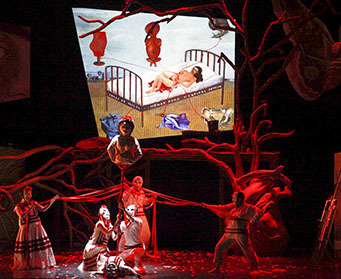 Two examples: as Frida and Diego quarrel about their mutual infidelities, the brass offer a snarling version of the tender Act I love music, “Niña de mi corazon” (Child of my heart); and as Frida’s death figures (calaveras) recreate her self-portrait, as the wounded “Little Deer,” in an affecting ballet sequence, Frida is stabbed, both physically (by the arrow) and musically (by piercing orchestral repetitions of Diego’s demand for a divorce, “You don’t need me anymore”).